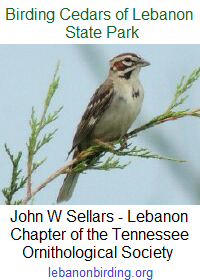 The first class of the Tennessee Naturalist Program will be held this Saturday, 14 November 2015 at Cabin #13. The class will begin at 9:00 a.m. and end at 1:00 p.m. The first two hours of your class will be introduction and in class. The final two hours will be in the field. Please arrive before 9:00 to ensure starting on time.